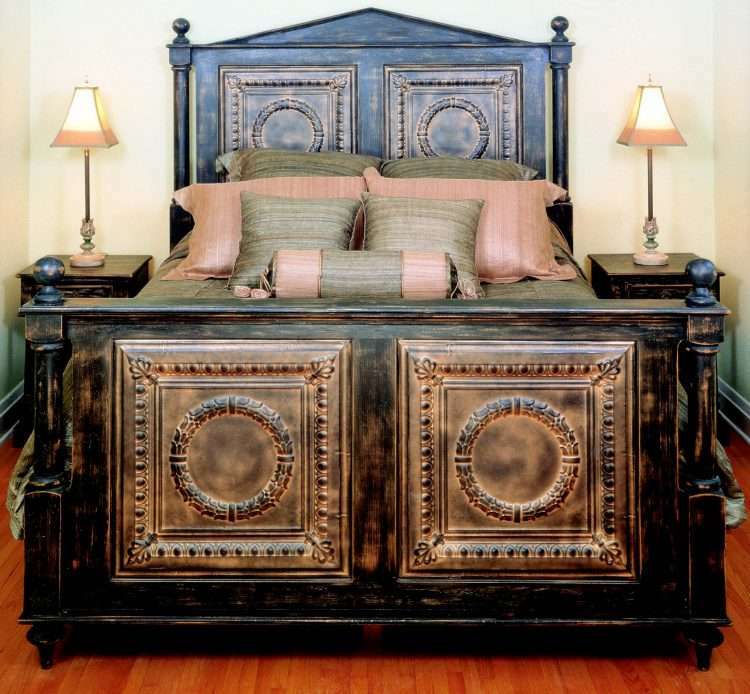 Features tin panels painted black, antiqued metallic gold. 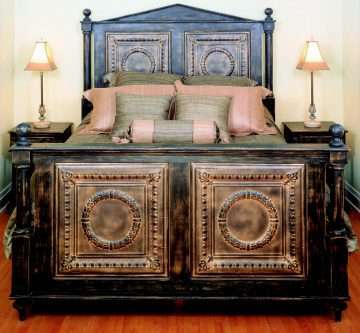 (The tin on this bed is available only as shown, regardless of what finish is ordered for the wooden part of the bed.) Twin and Double have only 1 tin panel on headboard and footboard, Queen and King have 2 tin panels on headboard and footboard. Comes with 2 side rails and 4 slats. Requires the use of a box spring to support the mattress. While the headboards are made to fit our frames and footboards, Headboard Only is available as VB1H, VB2H, VB3H and VB4H. Queen fits mattress size 60 x 80. Ships in 3 corrugated cartons: Headboard (73 lbs), footboard (61 lbs) and side rails/slats (40 lbs).